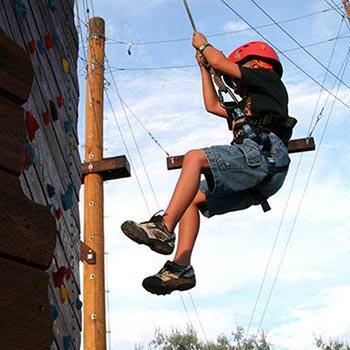 "Amazing for the whole family"
We visited Adventure Park Moab with a group of four adults and five kids, ages 8-14. We all had an amazing time. Shannon and Drake were fabulous teachers and guides. They were very patient and helpful, even with a few members of our group afraid of heights. We felt safe, yet challenged by the course. I think everyone pushed themselves and was proud of what was accomplished. We all had a great time, and we would love to do this again if we are back in Moab. -Jen B.
I visited this park with my two daughters ages 8 and 11. Both my girls are somewhat nervous about heights and my oldest has autism. It was no problem. Shannon our guide was exceptional. She led us through a safety training and then onto the apparatus which included several moderately challenging ropes courses. we had a blast. Even better the girls progressed in their abilities throughout the morning, and went from easy to difficult courses in a matter of a couple of hours. It was a real confidence builder for my girls and a great bonding experience for us.